Valentine's Day holds special meaning for me. It was my grandfather's birthday, so I'll forever associate it with cake! 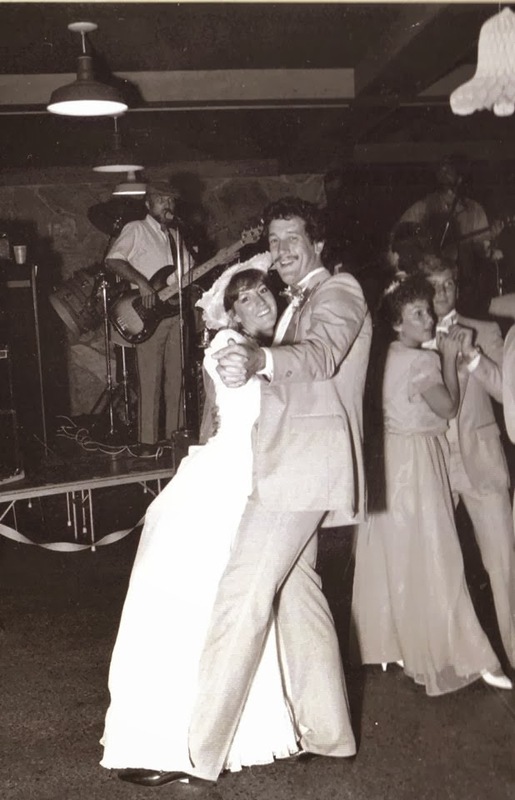 But - and not to sound like a cliché, but I am - it's also the day my husband proposed to me 30 years ago. Yes, we have to go back in time. Back before the age of the internet, cell phones, and smart phones. It was a weekday. We were both in college. I'd come home from school tired and not enthused about going out on our date. I'd just spent most of the night before finishing a paper and studying for a test. (Need I mention that back then I had to type it on a typewriter with white out for corrections? Kids today have it so easy...backspace, backspace, backspace.) Anyway, we were having one of those cold spells that occasionally hits Northern California and the temperature that afternoon had yet to hit 50 degrees (no snorts from the North American peanut gallery, please). In short, I wouldn't have minded not dressing up, ordering pizza, and zoning out on my couch with my man. I hear Mr. Curtis' car drive up and I'm still in jeans and a sweatshirt. I open the door, preparing to either convince him we should stay in or bite the bullet and go out. He's standing there holding flowers and a balloon bouquet. He dropped to one knee and proposed. I think I might have screamed. Mr. Curtis claims I did, but I don't remember. Needless to say, I found the energy and enthusiasm to go out to dinner, followed by ring shopping. Who cared if I was brain dead? Who cared if it was cold? Ten years and three kids later on Valentine's Day, I came home from work to find a babysitter in my living room. My husband took me to dinner and then the jewelry store, bravely offering to upgrade my diamond chip to a more respectable diamond ring. Yes, ladies, he's a keeper. I hope you keep an open mind when it comes to that special man in your life. You should never be too tired, too cold, or too unenthusiastic for Valentine's Day. Your man might just surprise you. 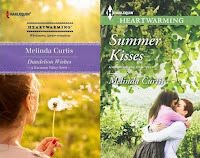 Melinda Curtis writes the Harmony Valley series of sweet romances for the Harlequin Heartwarming line. Brenda Novak says: “Season of Change has found a place on my keeper shelf”. Melinda also writes independently published, hotter romances as Mel Curtis. Jayne Ann Krentz says of Blue Rules: “Sharp, sassy, modern version of a screwball comedy from Hollywood's Golden Age except a lot hotter.” Melinda is married to her college sweetheart, and has three kids in college. She follows the NFL because one young quarterback is from her hometown, and follows Duke basketball because Mr. Curtis has a man crush on Coach K.
Thank you for sharing your sweet story, relationship advice--for any day of the year. I try to remember - never be too tired for your sweetie! I love it. Yes keep him. I am keeping mine too. He's the hero of all my books. Such a sweet valentine's proposal story, worthy of a romance novel! Definitely a keeper. What a sweet story - you had me all teary-eyed! Thank you for sharing it.